Organizations that have decided to adopt both NetSuite and HubSpot solutions are not only reaping the benefits of more integrated lead and customer management processes, they can also pat themselves on the back as they can be considered an innovative organization in their field. NetSuite's strong suit of seamless lead to cash management and accounting even in multinational, multi currency settings, and HubSpot's inbound marketing and lead generation allows companies to make their organizations a well-oiled revenue generating machine. Combining both allows organizations to produce leads and streamline the back-end up to billing. 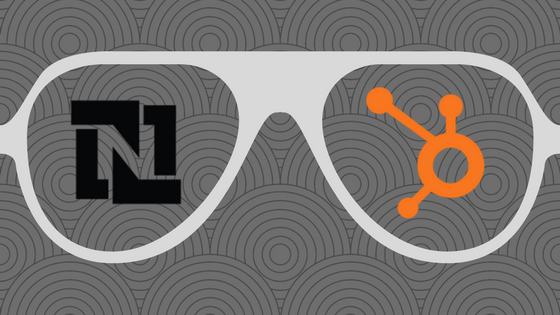 But why does NetSuite and HubSpot work so well together? The answer lies deeper than the the many integrations between the two solutions that are currently available on the market. In fact, NetSuite and HubSpot's relationship goes all the way to the top. On HubSpot's board is NetSuite CFO Ron Gill who chairs the board's audit committee and oversees finance strategies and corporate development for HubSpot. He joined in 2012 just as HubSpot was preparing to go public. But this wasn't the first link between HubSpot and NetSuite. Their relationship goes back as early as September 2010 when HubSpot first adopted NetSuite to help them gain the scalability required for a fast growing company. By 2012, HubSpot went live with NetSuite OneWorld helping HubSpot manage sales activity, biling, invoicing, revenue recognition in multiple currencies. The solution provided HubSpot with real-time business management and global financial consolidation to automate transactions with customers. Looking at their respective positions in their own markets, HubSpot and NetSuite are themselves leaders in their own fields. HubSpot is currently leading in inbound marketing while NetSuite is the leader in Cloud ERP. Both are also Cloud-based solutions. G2 crowd also puts both HubSpot and NetSuite as leaders in the small and medium scale enterprise deployments. Both are also experiencing significant growth in the past few years as they gain more market share in competing with the giants in their respective fields. As innovative alternatives, many organization have seen the value in adopting both HubSpot and NetSuite within their organization creating a lucrative market for HubSpot-NetSuite integrations. Some valuable areas for integration include those that deal with reconciling information regarding contacts. HubSpot's strength in detailing interactions with clients and leads and how they interact with websites, blogs, emails adds another dimension to customer information. At the same time, payment information and other accounts and billing related customer information are well-covered by NetSuite. Synchronizing a contact's details between HubSpot and NetSuite will be valuable. There are of course more interesting areas you can integrate such as contact lists, company details, emails, webhooks, forms, deals, files, workflows and more. Extra itself is both user and partner for both NetSuite and HubSpot and as a system integrator, Extra provides integration packages and custom integrations between the two solutions and with other solutions in the market.